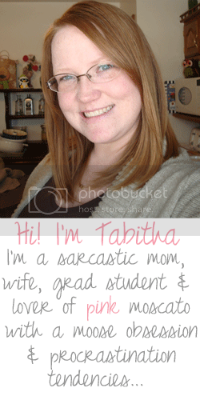 Tabitha is my newest favorite blogger. Her blog A Hundred Tiny Wishes covers various aspects of her life but my favorite thing she writes about is fashion. As someone who doesn't consider themselves very fashionable, Tabitha has inspired me. She loves fashion but isn't one of those bloggers that wears clothes that I never could wear or afford. Today I'm introducing Tabitha to you through an interview. 1. How did you come up with your blog title? Did you give it lots of thought or did it just come to you? The name came from a picture on Pinterest. It was a tile that someone did, and it said: When looking at a field of dandelions, you can either see a hundred weeds or a hundred wishes. That same day, I went for a walk around the yard, and Lil Man picked up a dandelion seed flower. It kinda felt like a sign. I also throught around the idea of naming the blog “The Wandering Moose” or “Moscato & Moose”… Yeah, gatta get this moose obsession under control. 2. You are really into make-up. When did this passion really begin? I was actually going to do a post on this subject, but I can’t really pinpoint when the passion with makeup actually began. I remember my mom using Mary Kay when I was younger, but I don’t remember her actually showing me how to use makeup in general. 3. Where would you like to see A Hundred Tiny Wishes a year from now? Large and in charge. Ha! No, I really have no idea. I have seen so much growth over the past six months, and unless I randomly take a couple of weeks or months off, I can only keep going up and improving. 4. What is the last thing you do before bed? Kiss either my son or my hubby (my hubby works midnights four nights a week, so it’s usually my son). 5. How did y'all come up with your son's name? Funny story. My hubby wanted a Jr, but I was absolutely against it. I wanted something unique and to name our son after my late great-grandfather. 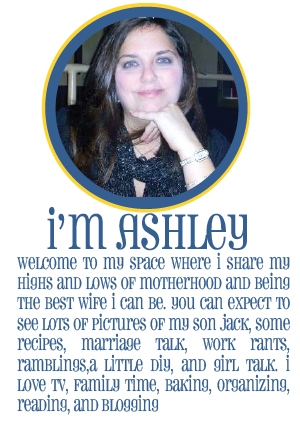 My hubby didn’t like any of my name choices. So after about three weeks of debating, I was reading one of the gossip magazines, and came across an article about Gwen Stefanie and Gavin Rosdale. I asked my hubby what he thought of the name Gavin. He said that he would think about it, and two days later, he said ok. So our son’s name is Gavin, and he has my hubby’s first name as his middle name… Gavin Michael.Yeah, I guess it really wasn’t that funny. 6. You have 5 tattoos and you have voiced that you want another. What would it be? After I graduate, I am going to get “Just Breathe” on my left wrist. 7. What is your favorite/least favorite part of your body? 8. It's karaoke night. What song are you singing? “Write this down” by George Strait. 9. Besides cash or a gift card, what blogging giveaway would you love to win? A DSLR camera, hands down. I want one so bad, but with a lil one in diapers and bills to pay, I really can’t justify paying such a large amount of money for an accessory to a hobby. 10. What does your husband think about you blogging? I don’t think he really has an opinion about it. I mean, he kinda voices his opinion on the fact that I’m on the computer so much, but other than that he doesn’t read it. I do tell him about my accomplishments, and he tells me good job. And sometimes will take outfit pictures. 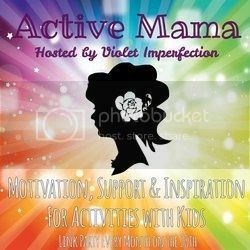 I told you she was amazing so head on over to A Hundred Tiny Wishes and follow her so you never miss one of her amazing posts.